Ghosn's wife Carole told the Journal du Dimanche newspaper in France that he had recorded a video interview in English before his detention. "He names the people responsable for what has happened to him. The lawyers have it. It will be released soon," she told the newspaper. 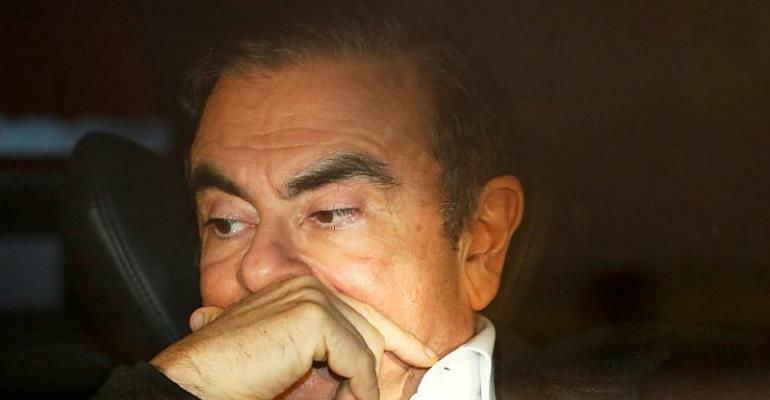 Carole Ghosn has flown to Paris to try to pressure the French government to do more for her husband whose 108-day imprisonment in Japan between November 19 and March 6 had left him a "different person," she told The Financial Times in a separate interview. France's foreign minister Jean-Yves Le Drian said Saturday he had raised the case during talks with his Japanese counterpart Taro Kono on the sidelines of the meeting of Group of Seven (G7) foreign ministers in the French resort of Dinard. Le Drian said he had "reminded him of our attachment to the presumption of innocence and the full rights of consular protection."